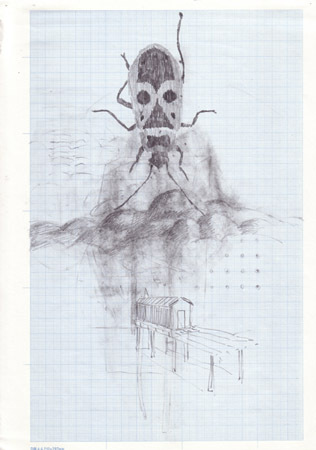 In “The Metamorphosis” / “Die Verwandlung” by Franz Kafka, young Gregor Samsa wakes up from a night of uneasy dreaming to find that he is transformed inexplicably into a large insect. 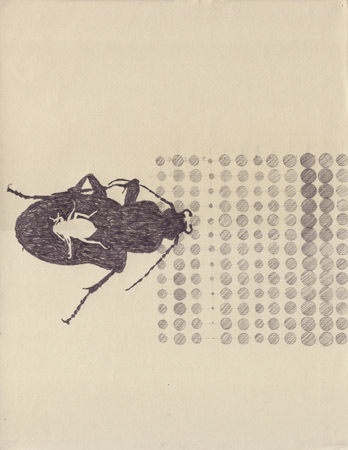 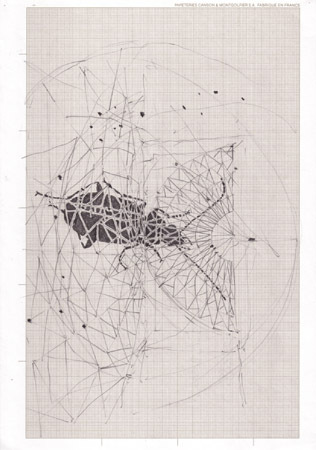 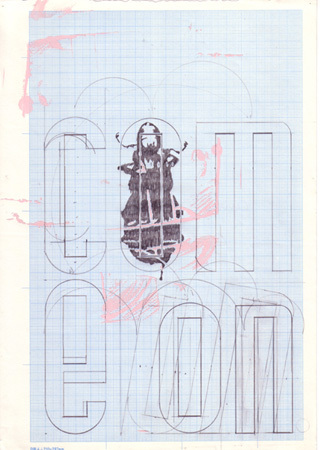 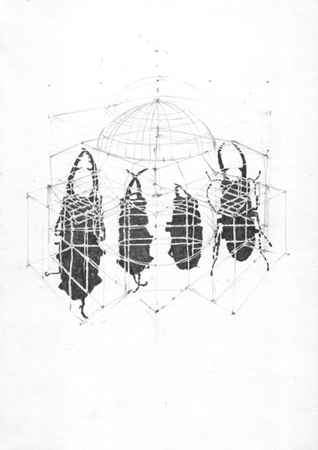 Simon Benson has borrowed the beetle, as a symbol for transformation, for this series of drawings. 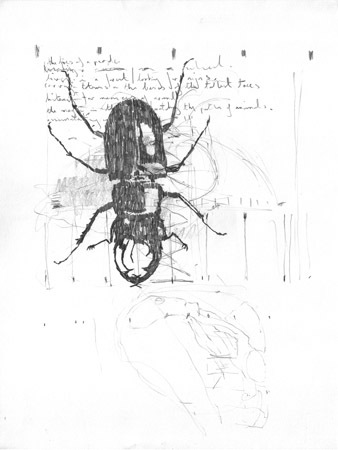 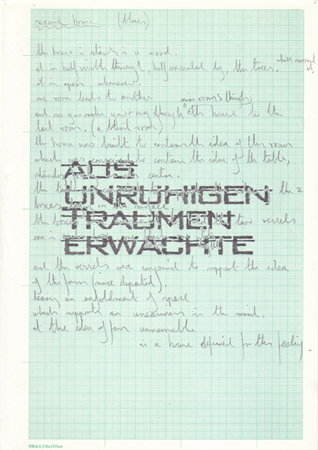 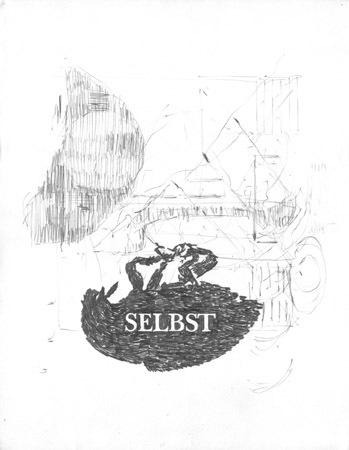 Each page consists of one of his own drawings from twenty or more years ago, into which he has incorporated either a beetle, a beetle larvae or a text relating to Kafka’s story. 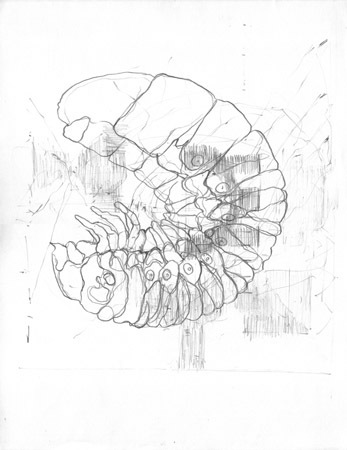 It is solely the added element that is recent, the original drawing is unchanged. 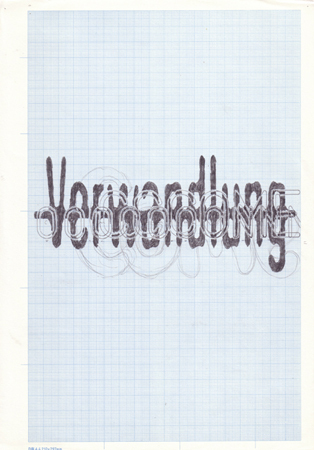 Each transformed drawing now becomes a new work, referring to the passing of time, bridging more than twenty years of his life.